This is a deciduous Eurasian shrub that is found in various parts of the world. It is easily distinguished at all seasons by the strong perfume of its buds and leaves. This shrub shows the only instance of a process by which double flowers may become single, by changing petals into stamina. It has a solitary, one-flowered peduncle at the base of the raceme, and its leaves are dotted underneath. Color: Clear pale yellow to golden yellow liquid. Aromatic Description: Black Current Seed Carrier Oil has a strong, heavy, oily scent. 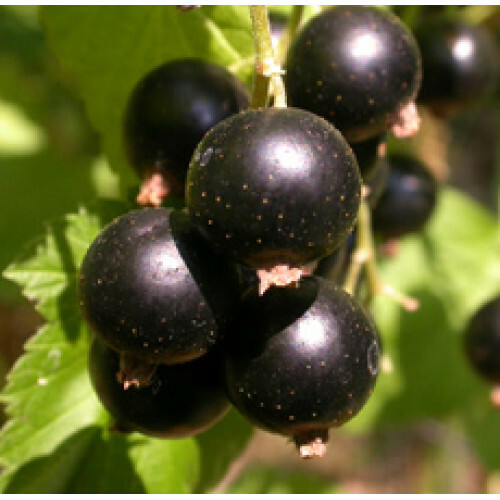 Common Uses: Black Currant Seed Carrier Oil is very rich in antioxidants and gamma-linolenic acid making it a highly effective anti-inflammatory agent. Studies have shown it to be a good treatment for rheumatoid arthritis. This oil is said to increase elasticity in the skin, and can be used to protect and nourish skin tissues preventing chronic skin conditions such as dermatitis and eczema. It can also be used to slow premature aging. Black Currant Seed Oil can be added to skin preparations and cosmetics such as face creams, moisturizers and body lotions. It is often combined with vitamin E to prevent oxidation. Consistency: Typical and Characteristic of Carrier Oils. Absorption: Typical and Characteristic of Carrier Oils.